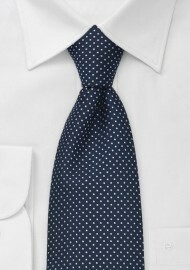 A stunning Jacquard weave necktie that combines tiny white dots on a sapphire blue background color. A perfect necktie for any occasion. It is modern, yet not too flashy for daily business attire. In addition the blue and white colors will match with all classic shirt and suits. 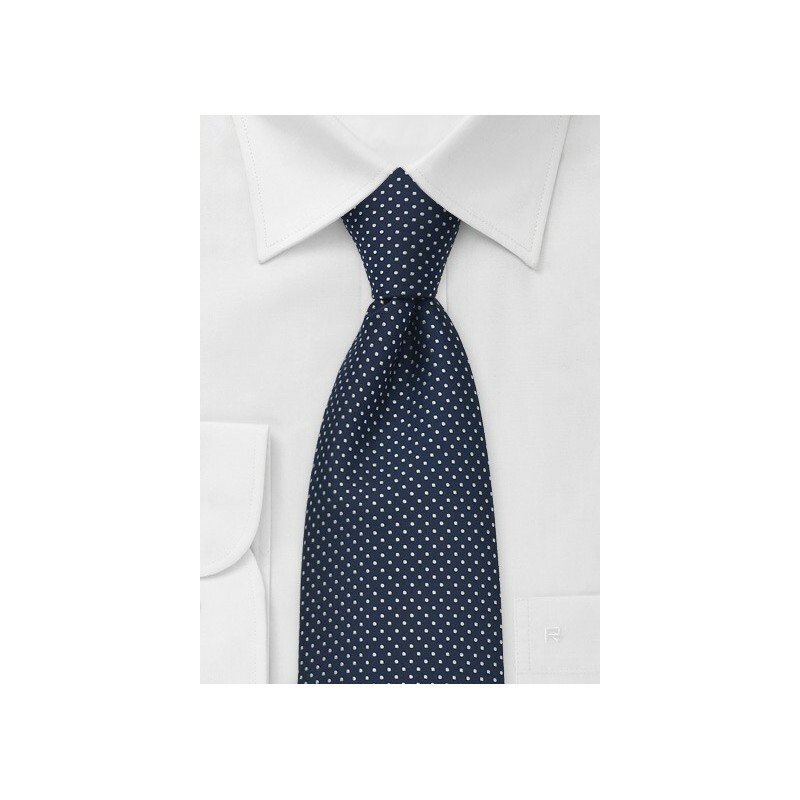 Our top pick to match this tie: Light gray suit and classic white dress shirt in the summer, and a navy blue suit and white dress shirt for the fall and winter months. Made from stain-resistant microfiber. Length: 58", Width: 3.25"
If you like ties with polka dots, you may also like this Navy Blue & Pink Polka Dot Tie by Chevalier.